As a woman who runs an organization focused on supporting women, I am psyched that this week is National Women’s Health Week. Did you know that today marks the start of an entire week to focus on woman’s health? How cool is that? Translation: it’s never too early to take control of your health. This week is an opportunity for YOU to focus on your well-being from the inside out. All week, YSC will be highlighting easy ways YOU can celebrate Women’s Health Week and take positive steps to become your own best health advocate. I hope you’ll follow along and share our tips and resources with the important women in your life. We’ll cover everything from exercise and nutrition to mental health. Since today is also National Women’s Check-Up Day, why not start this week by scheduling your annual wellness visit? Before your appointment, gather your family health history. You can even store it in this online tool. 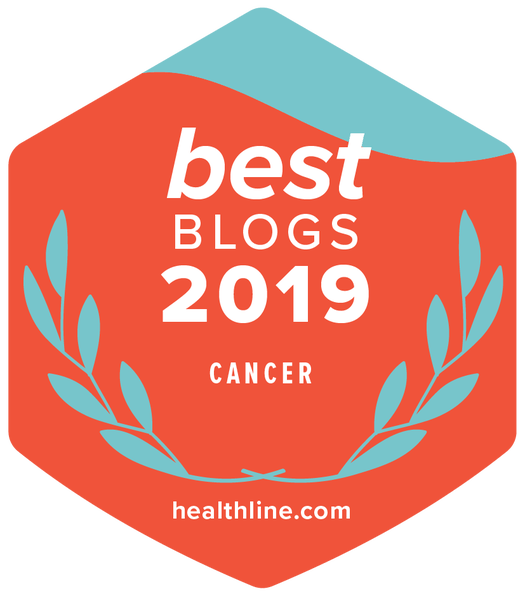 Getting regular check-ups and sharing your family health history (including heart disease, cancer and diabetes) with your physician are important steps. At your appointment be sure to ask what screenings you should have. And……. 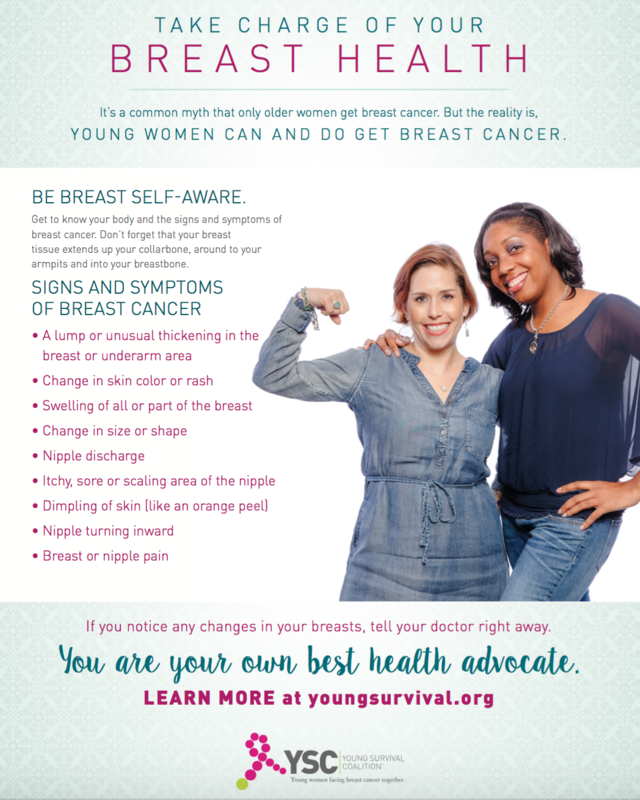 to help you and the women you love take control of your breast health, we created a great printable one-pager “Take Charge of your Breast Health” highlighting the signs and symptoms of breast cancer. Download your printable today and share with family and friends. What else are you doing this week to celebrate National Women’s Health Week? I want to hear from you! Join the conversation on Facebook and Twitter and keep a look-out for awesome resources YSC will be highlighting each day. Feel free to share your ideas, and don’t forget to share our Take Charge of your Breast Health one-page printable! And from one woman to another…. I wish you happiness and good health!